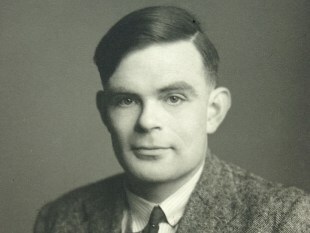 A posthumous pardon given to Enigma codebreaker Alan Turing will be extended to thousands of Britons if the Tories win office. The Conservatives have now pledged to introduce a new law helping to “lift the blight of outdated convictions” from other people found guilty of similar offences. “Thousands of British men still suffer from similar historic charges, even though they would be completely innocent of any crime today,” the Tory manifesto read. Thank you for this meaningless gesture, guv. Labour's manifesto has some more of them. The Tories have also promised to scrap the Human Rights Act. PS Hats off to the Telegraph who manage to run this without using their dread word 'gay'. PPS Alan Turing's notebook sold for £1m.